Google Wallet may not be having the easiest time breaking through or even gaining much traction in the market, but that's not stopping Google from continuing to try to make the platform better. 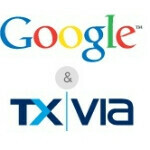 Today, Google purchased TxVia in an effort to make the platform better. TxVia is a New York-based company which has been specializing in payment technologies including pre-paid cards (the bane of Google Wallet so far) and gift cards. The terms of the acquisition have not been disclosed, but the deal itself seems like it was basically a done deal for a while, because in the announcement post, Osama Bedier, Vice President of Wallet and Payments at Google admitted that Google has "worked closely with TxVia over the past year". Of course, even more talent from a company like TxVia can't really help Google if carriers like Verizon, AT&T and T-Mobile are all essentially blocking Wallet in favor of the system they are supporting, ISIS. Sprint alone won't be enough to make Wallet a success.